Once upon a time there lived a beautiful princess. Her mom loved to knit. One day her mommy came across a very nice looking headband while searching for knitting ideas. She thought: "Hmmm... My little princess would like that very much." She searched some more until she found a free pattern. However, the pattern had few errors. As she was knitting she struggled a little. She decided to re-write the pattern to her liking and to change the edge of the crown a little. When she finished knitting the crown she gave it to her little girl. The princess jumped with joy and wore the beautiful platinum crown all the time. She even wore it to a bed at night. 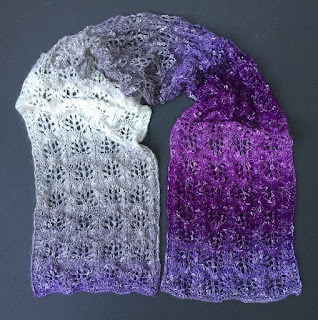 Her mommy decided to share the updated pattern on her blog. The end. I used Lion Brand, Vanna's Glamour in platinum color, but you can use any other yarn brand of your choice. Also if you'd use thicker yarn and higher sized needles the headband would get slightly bigger and taller. I think this a great way to keep your girl's ears warm on a windy spring day and at the same time have your princess (or even a prince) looking stylish. It makes a great gift, too. Read my other post about using thicker yarn HERE, or you can watch my video HERE. 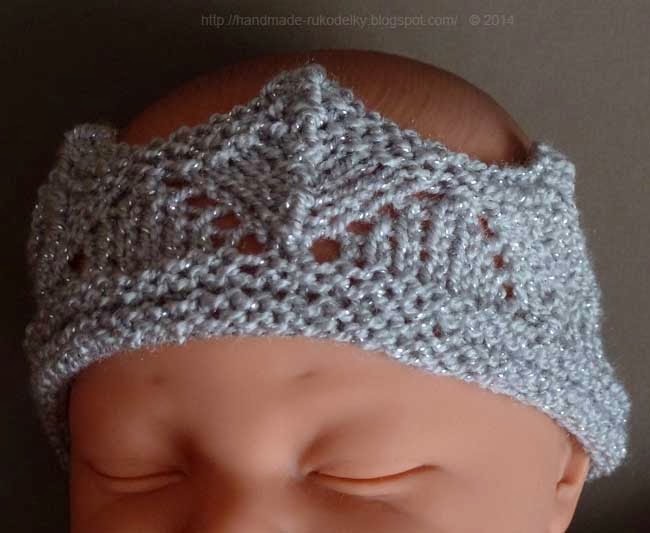 If you have hard time knitting on circular, or double pointed needles (DPNs), check out my post where I wrote another pattern of this crown for knitters who use only straight knitting needles. CLICK HERE to see the post. We work on multiple of 18 sts. Note: for Rows 14 through 20 you can remove all markers.